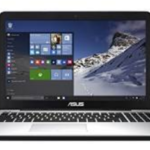 Today our choice is ASUS F556UA-AS54, which is a 15.6″ 1080p Laptop outfitted an Intel i5-6200U 2.3 GHz Processor (Turbo to 2.8 GHz), 8GB DDR3 SDRAM, and 256GB Solid-State Drive. 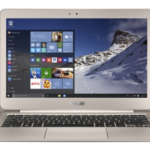 It highlights a 15.6″ Panel LED LCD display w/ 1920×1080 resolution, and Intel HD 520 onboard graphics. 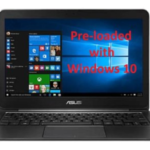 The laptop is running on Windows 10 Home operating system. 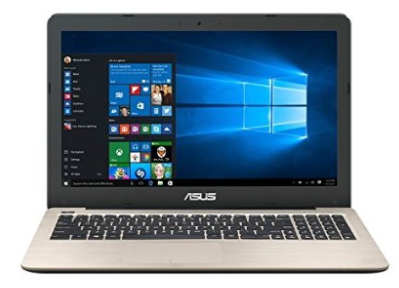 Oh yeah, it has become a hot selling laptop at Amazon (sale price: $529.00 & FREE Shipping), loads of people are choosing it, so I think I'd better share it with you guys today. 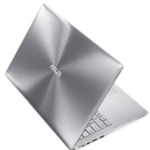 The ASUS F556UA-AS54 laptop also comes with HDMI/VGA/USB Type C connectivity, 1x USB 3.0, 1x USB 2.0, SD/SDXC card reader, combo audio jack, and 38WHr battery supporting up to 5hr run time. 1-year Accidental Damage Protection is included, so we have nothing to worry about. With the latest 6th generation Intel Core i5 processor, the F556 gives you the performance you need while consuming power efficiently to ensure a longer battery life. The 256GB Solid-State drive and 8GB RAM speeds things up even more, letting you boot up faster and launch applications in a blink. I think it meets most requirements for most people, and the price is relatively low. 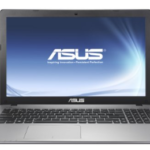 Well, what do you think about the ASUS F556UA-AS54 15.6-inch Full-HD Laptop?